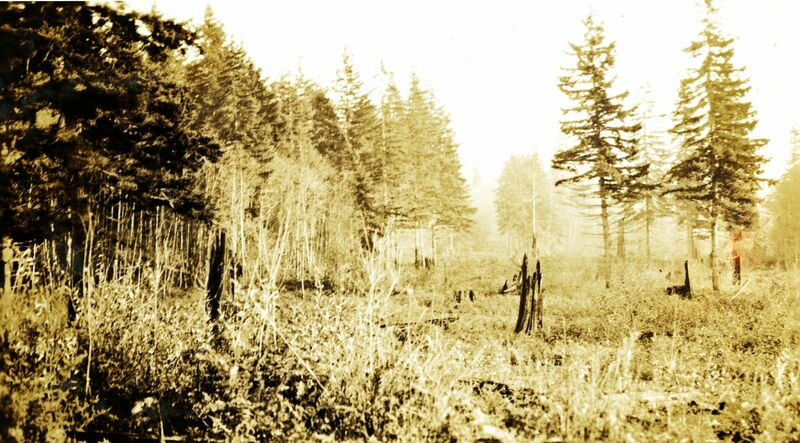 Photograph depicts a roughly cleared area with large trees on the perimeter. 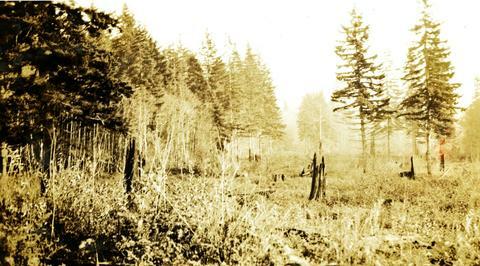 Handwritten annotation below photograph reads, "Langley B.C. ".